Daylight Savings Time happens this Sunday, March 12, at 2 a.m., and it'll be more than just a great way to seize an extra hour of sunlight through November. Spring is a great time to get your household back in gear, shake off those winter blues and plan for a new year ahead. As temperatures begin to rise, we know you'll be ready to take on a whole new set of adventures. Among these, it's important to keep safety and preparation in mind. Use the checklist below to ensure 2017 is on track for safety success. Most new smoke alarms are designed to function properly for ten years, but in order to ensure your safety and that of those around you, we recommend that you test your smoke detectors once yearly. This task holds the number one spot on our list because it's a quick and easy way to save lives and stay prepared. All smoke alarms have a test button located either on the side or on the bottom of the plastic casing. Pushing the test button sounds an alarm just like the one you’d hear in a real emergency. If the alarm sounds, your unit is receiving power. This is the first step to testing your smoke detector. Next, test the smoke sensor. Start by purchasing a smoke detector aerosol, available at most local hardware stores for under $10. Spray the aerosol as instructed on the back of the can to ensure the alarm sounds. Skipping this additional step might be tempting, but unless you frequently burn your casseroles, it's the only way of knowing whether the smoke detection on your alarm is functioning as intended. If your smoke alarm is located near your kitchen, it may be more than plain old smoke that sets it off. Atomized fats, steam and even heat can trigger smoke alarms. If your smoke alarm's noisy habits are burning you up, don't remove the batteries. 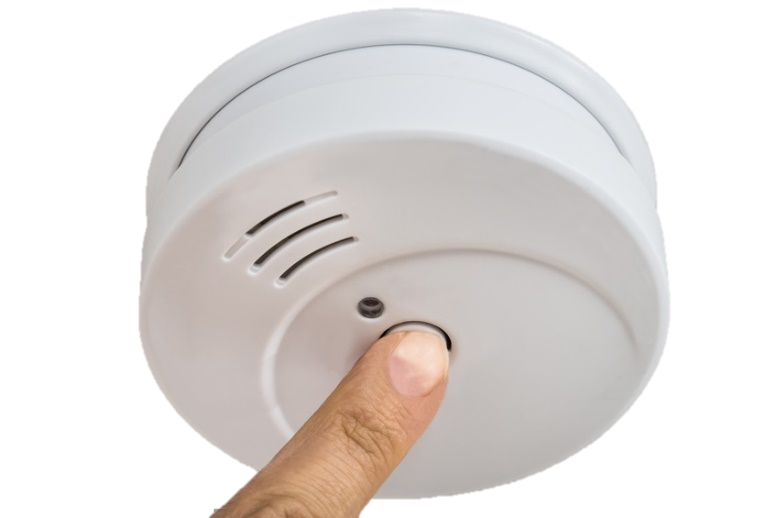 Use your sensor's "mute" option to turn off smoke sensitivity while you cook, or turn on vents or fans to remove smoke before it has a chance to build up, switch to an oil with a low smoke temperature such as canola and make sure your smoke detector is free of dust. If all else fails, consider moving your unit further away from the kitchen. 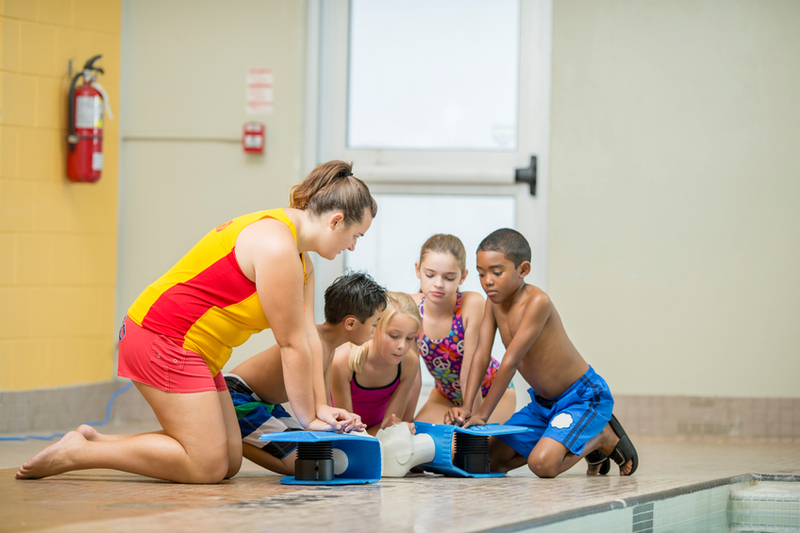 Emergency training, first aid and CPR are invaluable skills, both in everyday and emergency situations. Whether you're already certified or you're only vaguely familiar with these, there's never a better time to pursue professional training. SOS Survival Products offers a variety of training courses for emergency preparation, fire safety and CPR, so you can use that extra hour of daylight to learn how to protect yourself and those around you. Emergency preparation takes planning, gear and rations. 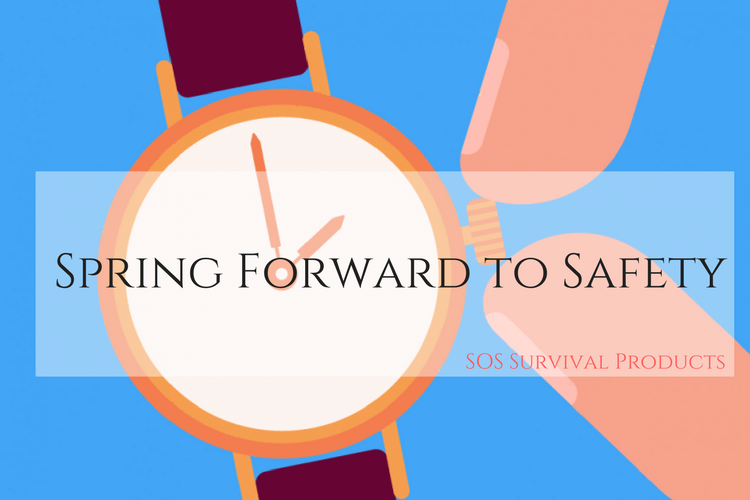 If you're just starting out, SOS Survival Products is a great place to begin. We offer a large selection of emergency preparedness supplies, free information and training equipment. preparations are up to date by checking for damage, punctures, leaks and expiration dates. Additionally, review your checklist to make sure it's up to date. If you've recently started taking new medications, brought pets into your home or moved, your preparation kits and supplies will need an update. 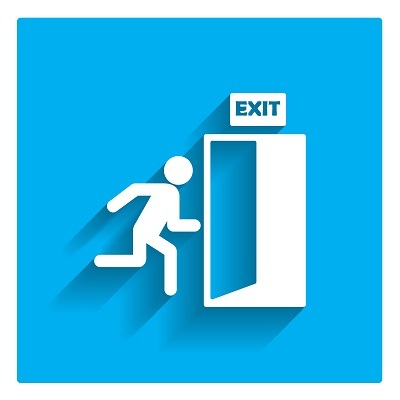 Just like the fire and earthquake drills in school helped you to learn how to respond to potential emergencies, a review of your escape plan will allow you to feel confident in your ability to execute safety procedures as planned. Since practice makes perfect, we recommend taking every opportunity you have to review your safety steps, but do this at least twice a year. 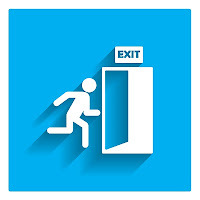 Use March 12 as a reminder to review, adjust and practice the steps of your safety and escape plan. Involve everyone in your household so that if the time should come, you're all prepared. 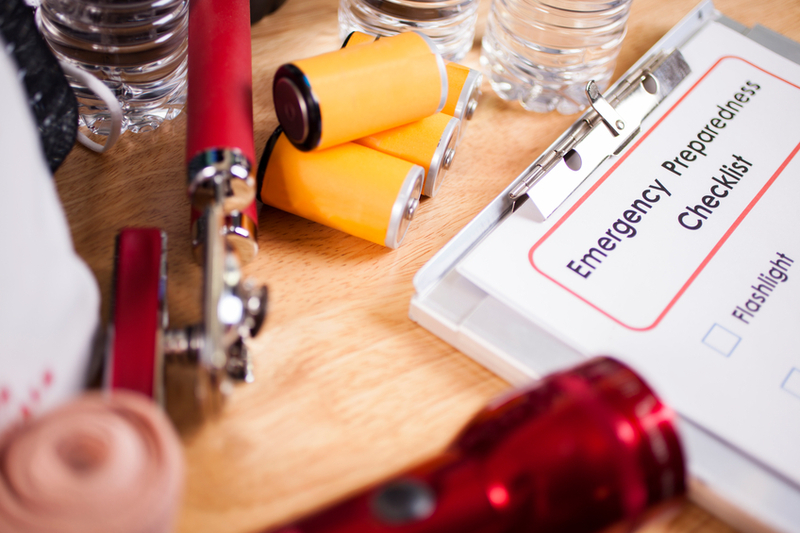 In time, your family's safety and emergency plan review will become part of a routine, ensuring everyone is capable of taking care of his or her part in a real emergency situation. Safety preparedness isn't just about staying ahead of a major catastrophe. There are plenty of unexpected dangers lurking right nearby, making it vital not to neglect your home, yard and vehicle this spring. I love going to the SOS store and all the info on the blog. However, the font you're using is much too small to be read easily. Why not enlarge it and improve readability?